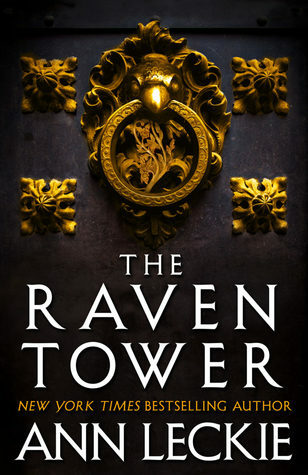 I borrowed an audio copy of Ann Leckie‘s The Raven Tower through my local library. This had a slow, but consistent pace. But I found that I continued to find chores I could do to keep listening to it. I enjoyed that the narrator was utterly unexpected and that the main character was just a tad off-centre from power. If you’re looking for a rollicking, fast-paced novel, this isn’t it. But it you like interesting, thought-provoking narrations it very well could be. This was my first Leckie book, but it won’t be my last. And Adjoa Andoh did a great job with the narration. In fact, while I’m sure I’d have liked the book regardless, I wonder if I’d have loved it as much as I did had I not listened to it. This entry was posted in books/book review and tagged audio book, book reviews, fantasy, Gods on April 14, 2019 by Sadie. 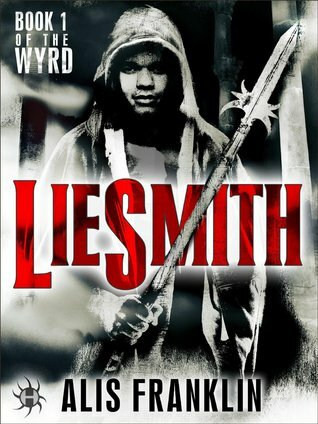 I was granted a copy of Alis Franklin‘s LieSmith from Netgalley. Working in low-level IT support for a company that’s the toast of the tech world, Sigmund Sussman finds himself content, if not particularly inspired. As compensation for telling people to restart their computer a few times a day, Sigmund earns enough disposable income to gorge on comics and has plenty of free time to devote to his gaming group. Then in walks the new guy with the unpronounceable last name who immediately becomes IT’s most popular team member. Lain Laufeyjarson is charming and good-looking, with a story for any occasion; shy, awkward Sigmund is none of those things, which is why he finds it odd when Lain flirts with him. But Lain seems cool, even if he’s a little different—though Sigmund never suspects just how different he could be. After all, who would expect a Norse god to be doing server reboots? As Sigmund gets to know his mysterious new boyfriend, fate—in the form of an ancient force known as the Wyrd—begins to reveal the threads that weave their lives together. Sigmund doesn’t have the first clue where this adventure will take him, but as Lain says, only fools mess with the Wyrd. Why? Because the Wyrd messes back. I thought that this was quite clever. That alone would be enough for me. But paired with how darned CUTE Sigmund was, makes it’s a real winner for me. I just wanted to grab all his über-geeky, low self-esteem (what he would call realistic self-appraisal), hipster envy, good boyness and hug it and love it and call it George. I adored him. Plus, he’s a not a cookie-cutter, Ken-shaped, white main character. He’s plump and dark. Maybe with some Maori ancestry, but that’s never clarified. I loved it, even more since this was played all sorts of cool, as if it wasn’t some rare gem to be treasured when found in a book. The story itself is quite convoluted and, honestly, readers would be well served to have at least a basic understanding of Norse mythology. I’m not saying that it’s not understandable if you don’t, but I think it will be more enjoyable if you do. But beyond the story of the machinations of the gods there is a lot to enjoy here. The romance is slow and sweet. It never progresses beyond a kiss, but it’s obvious the end goal is love not lust. *sigh* And there is just tons and tons of Gamer/Trekkie/Trekker/Ringer/comic book/Star Wars/DnD/etc nerddom to revel in. It’s glorious in its own way, but not over-played. Plus, Sigmund is never disparaged for his interests. In fact, he’s quite comfortable in who and what he is. With the tangled plot, I did find it a little hard to keep up with on occasion, it seemed to slow down and drag for a while in the Helbleed, friends accepted the impossible with aplomb, and the ending is left a little ‘we’ll figure it out eventually’ open. But for the most part I found this a really enjoyable read. This entry was posted in books/book review, Challenges and tagged book review, challenges, fantasy, Gods, M/M, Norse mythology on September 26, 2014 by Sadie.